Mississippi is home to almost 900,000 head of cattle, raised on nearly 16,000 farms, based on 2017 USDA estimates. The Mississippi Agricultural and Forestry Experiment Station is dedicated to helping the region’s cattle producers with new management strategies that are economically sustainable, increase land utilization, reduce negative environmental impacts, and optimize capital investment. Earlier this year, a strategic initiative for sustainable beef production systems for the Southeast was developed to help direct MAFES assets to assist cattle producers. The initiative was a collaborative effort involving scientists in cattle management and production research on six of the experiment station’s 16 branch units. MAFES currently has 4,500 acres of pasture land and over 1,800 cows in its herd. Beef cattle research is conducted at the H. H. Leveck Animal Research Center in Starkville, the Brown Loam Branch Experiment Station in Raymond, the Coastal Plain Branch Experiment Station in Newton, the Prairie Research Unit in Monroe county, and the South Mississippi Branch Experiment Station’s White Sand and McNeill Units near Poplarville. “We are fortunate to have a great team of scientists dedicated to improving cattle production across the state and we have the facilities to demonstrate new management strategies to producers,” said Dr. John Blanton, animal and dairy sciences head. The plan includes three broad areas of research: cow-calf management, stocker cattle management, and forage development and production. In cow-calf and stocker cattle management, the research team will focus on selecting and identifying the best traits for breeding to improve health and environmental adaptability. Scientists will also look at issues often plaguing Mississippi cattle, including the hot, humid climate. Numerous studies have been conducted to examine cattle shedding and the impact of coat color on heat stress. Scientists will work to develop heat tolerance and heat management practices for Mississippi producers. Nutrition plays a significant role in average daily weight gain, health, and reproduction. MAFES has a robust forage variety testing program but further study must be done on nutrition to mitigate health risks. 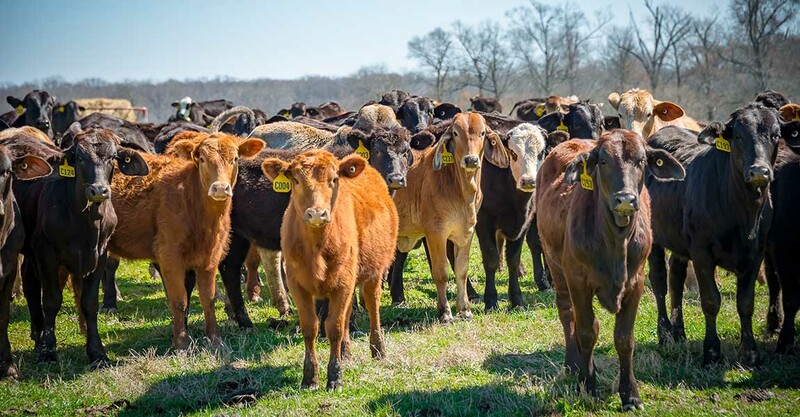 The ambitious plan, which also includes marketing and cost recovery components, is aimed at helping Mississippi cattle producers improve efficiencies and ensure the welfare of animals. “Success of the plan requires an integrated approach that will result in new management strategies to produce calves, develop heifers and bulls, and grow the stocker cattle industries in Mississippi while also improving our grazing systems,” Blanton said. The strategic planning committee for beef research includes John Blanton, Brandi Karisch, Jane Parish, Daniel Rivera, Brett Rushing, and Rhonda Vann.